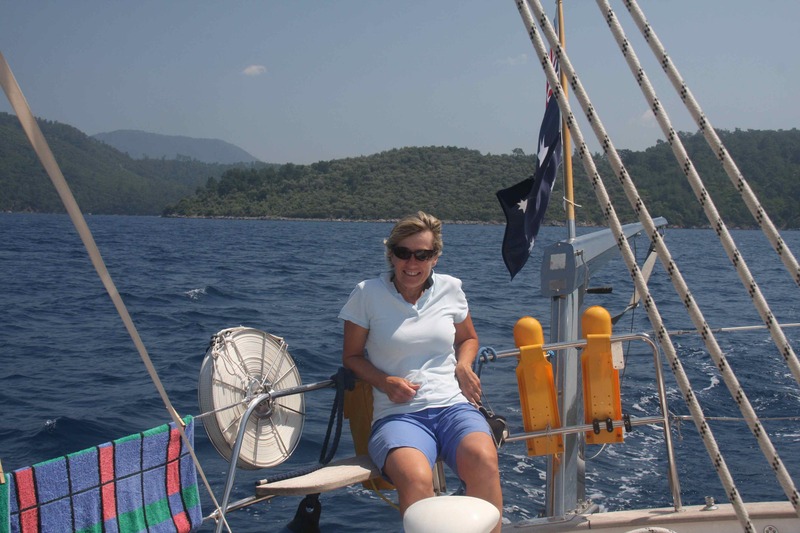 Our plan for May was to sail towards Bodrum and explore the Gokova Korfezi, the large bay east of Bodrum, before heading to Greece. 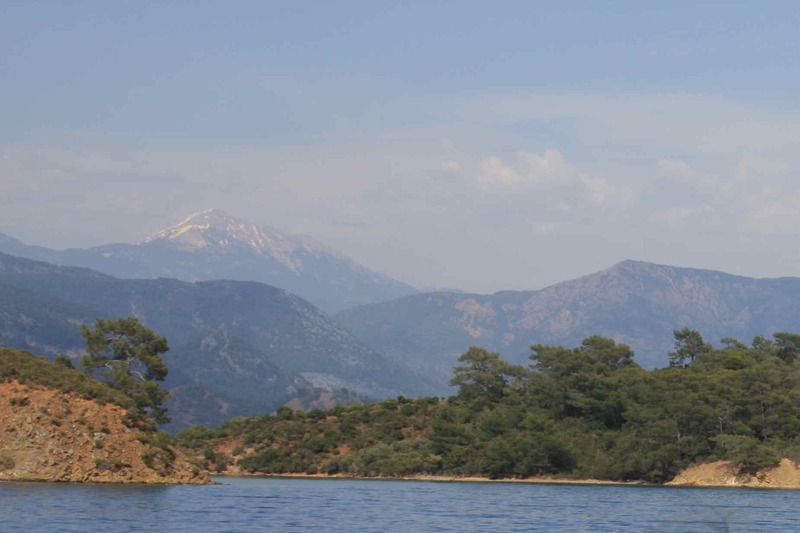 Leaving Gocek and the Fethiye Bay behind (note snow still on the mountains! 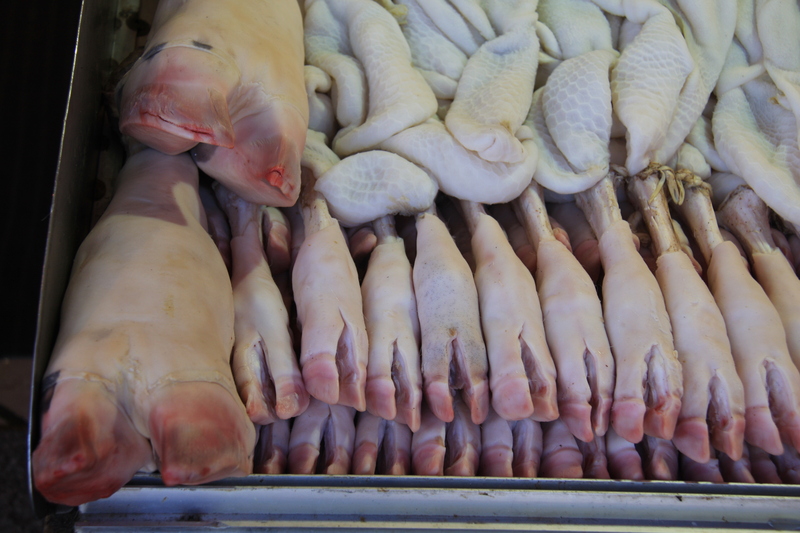 ), our first stop was Gerbeske Bay. Although we were hoping to free anchor in this fairly shallow bay, the 2 other boats had already tied off stern to, so we were obliged to do the same, with Ian acting as ‘deckie’ for a change. 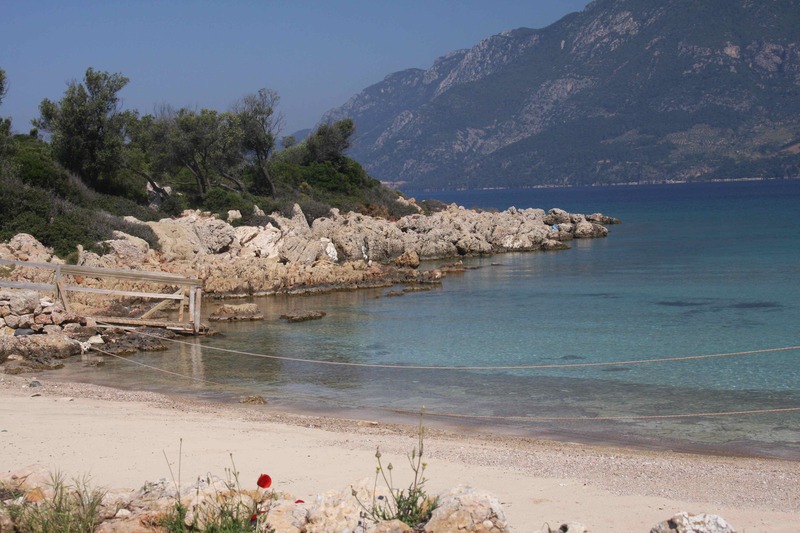 Lumpy seas and winds on the nose, we had a long day of sailing and motor-sailing to reach the lovely bay of Knidos – right on the very wetern tip of the peninsula. 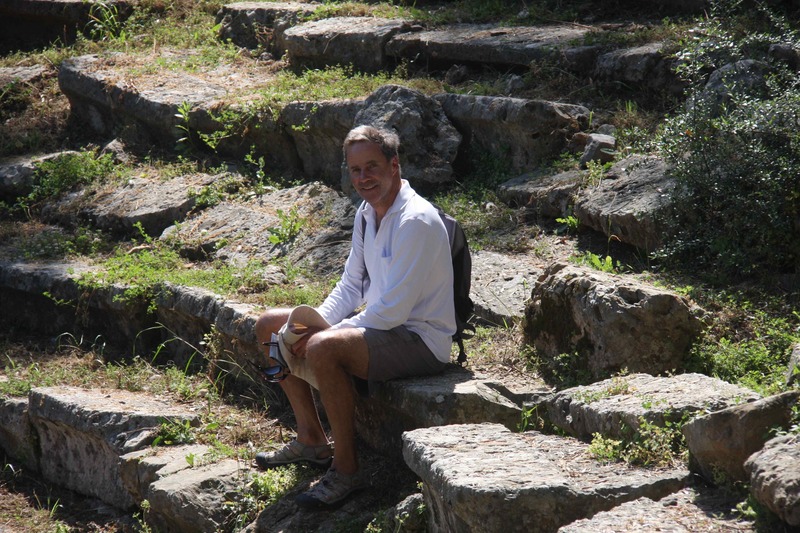 The beautiful, mainly Greek ruins (C 400BC) and the remnants of the city walls coming right down to the Bay, looked wonderful in the afternoon light – an incredibly sophisticated settlement in such an isolated location. We were surprised by the large number of boats here (12 rafted up on the jetty) – as everywhere else so far had been so quiet. 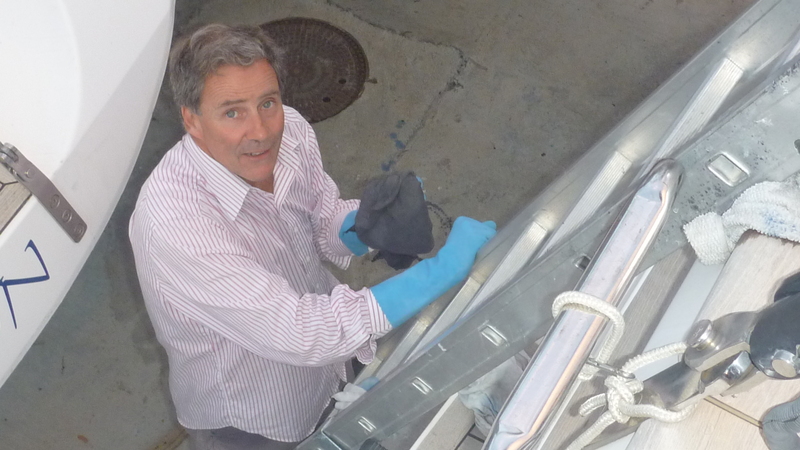 After chatting with the friendly skipper next to us (one of 11 Russians on a Bavaria 44!) we found out that is a 2 week Russian holiday. 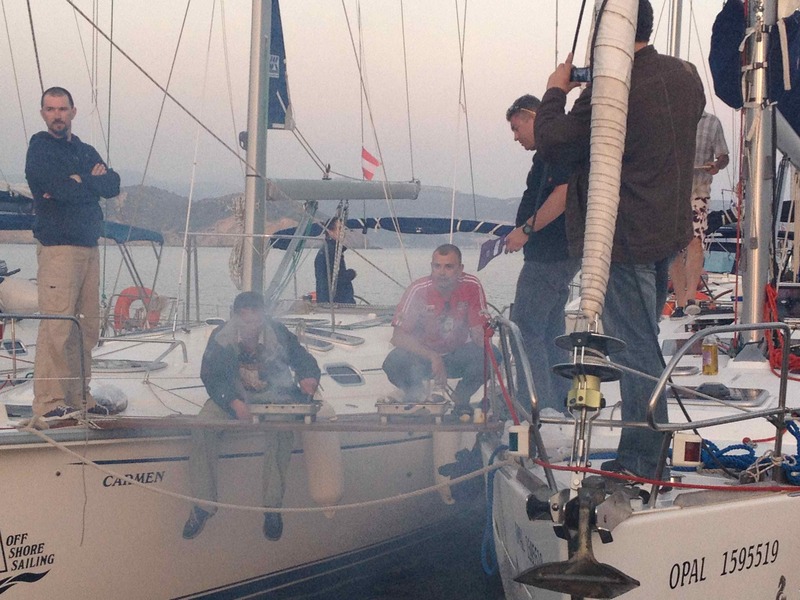 As we ate dinner in the local restaurant, they cooked theirs on BBQs suspended on boards between 2 boats! 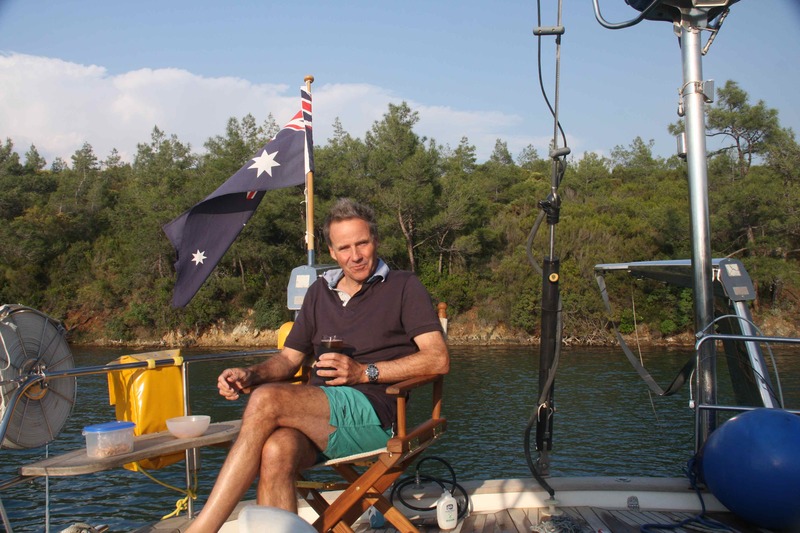 After a very long day with little wind we arrived in Sehir Adasi, (Castle Island), thrilled to be the only boat in the bay. First swim of the season, the water is already 21 degrees, so very pleasant. 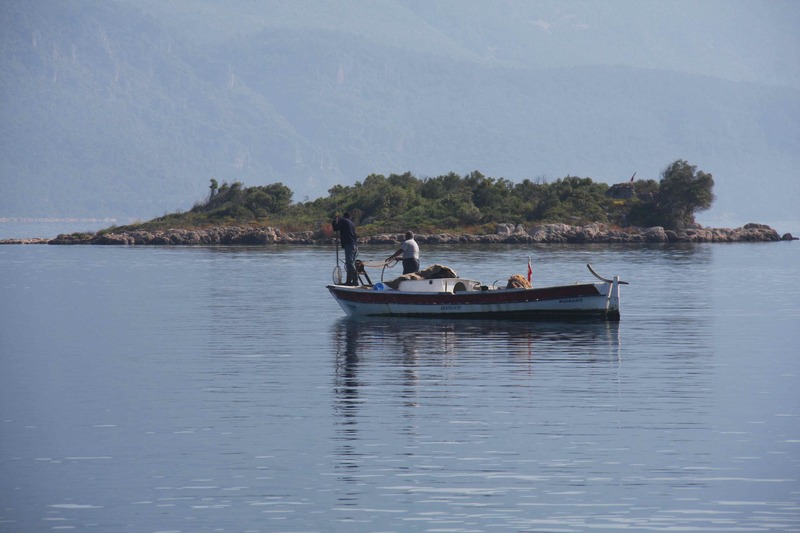 After watching the fishermen haul in their largely empty nets in the bay over breakfast, we still managed to get ashore before the first of the many tripper boats to explore the ruins on the island. 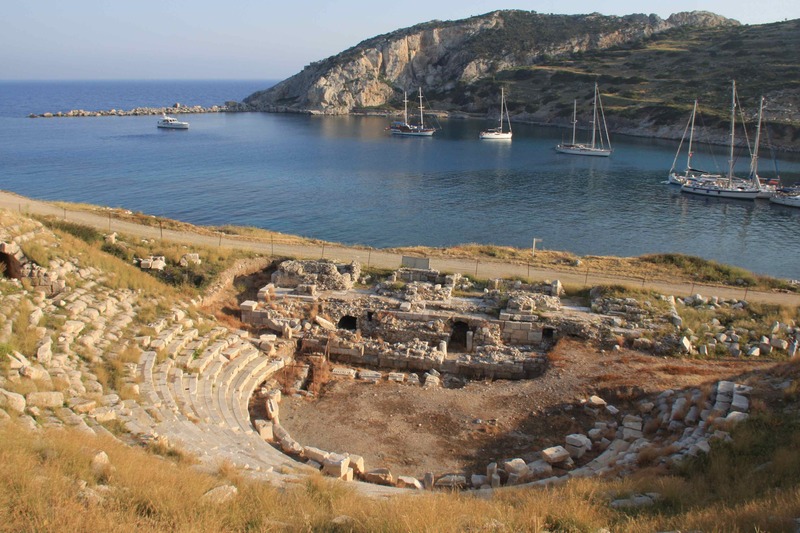 Again surprising that a Greek settlement on an island smaller than Scottie, in 400BC “needed” an amphitheatre seating 2,500 people. 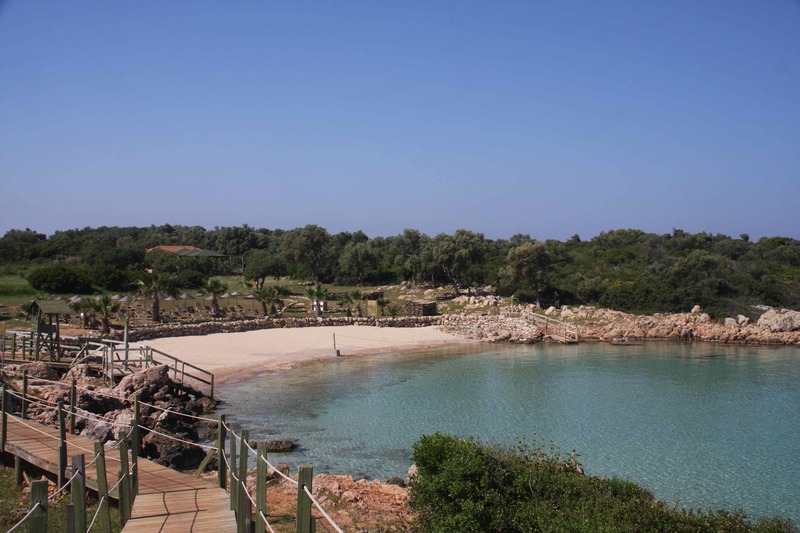 The island is famous for Cleopatra’s beach. 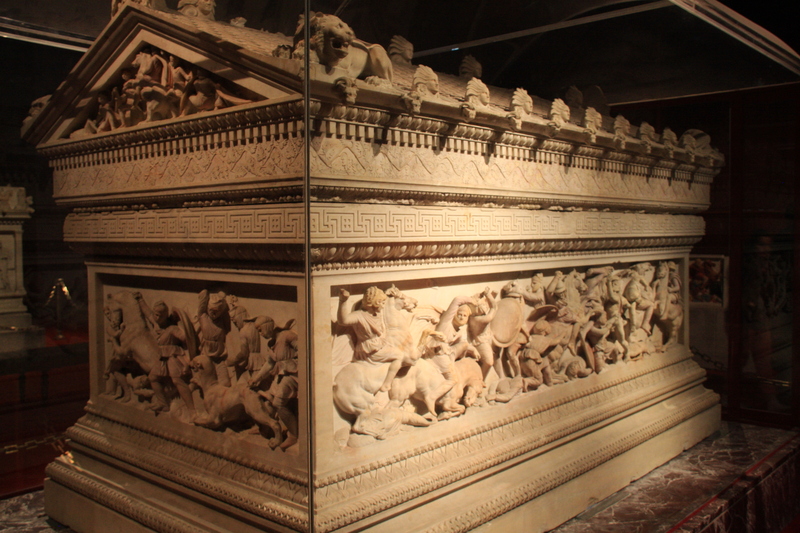 It is rumoured that Cleopatra brought the sand from Egypt. The ‘special’ white sand beach (like we have on most beaches in Aus) is roped off to prevent visitors ‘souveniring’ the sand in their pockets. The water around the island is wonderfully clear and blue. 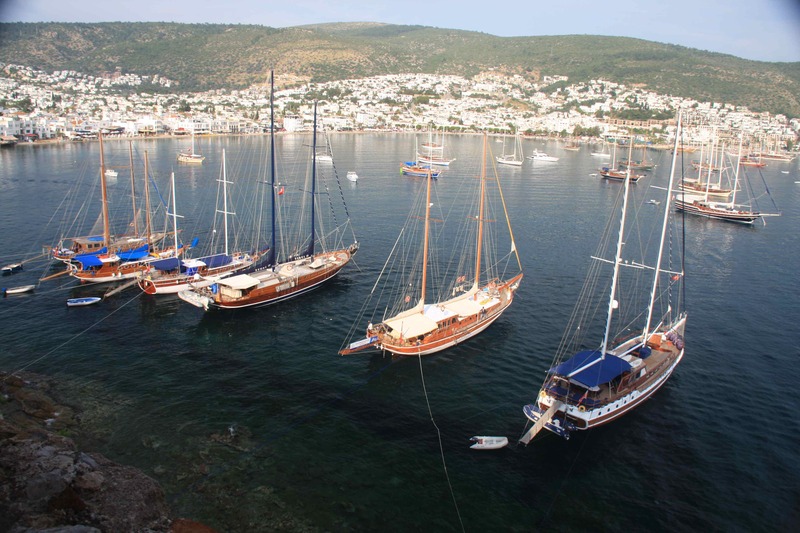 Another night in the bay, still only 3 boats here on a Saturday – this is the time to visit Turkey. 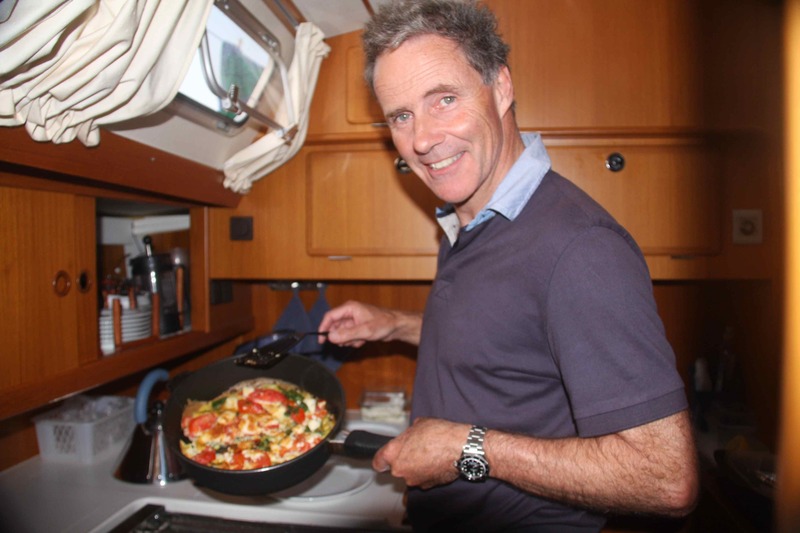 A few more nights in the isolated and peaceful anchorages of English Harbour and Tuzla Koyu, meant that Ian could practice his cooking skills. Sea Cloud through her paces on a work into the 20+ knot northwesterly to Cokertme on the northern shore of Gokova Korfezi. 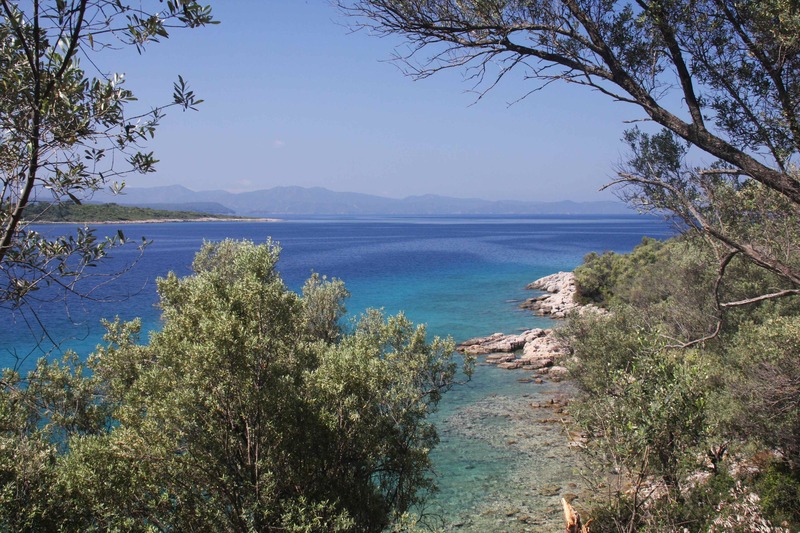 A large bay with sand and weed and nice to be able to simply free-anchor without lines ashore. 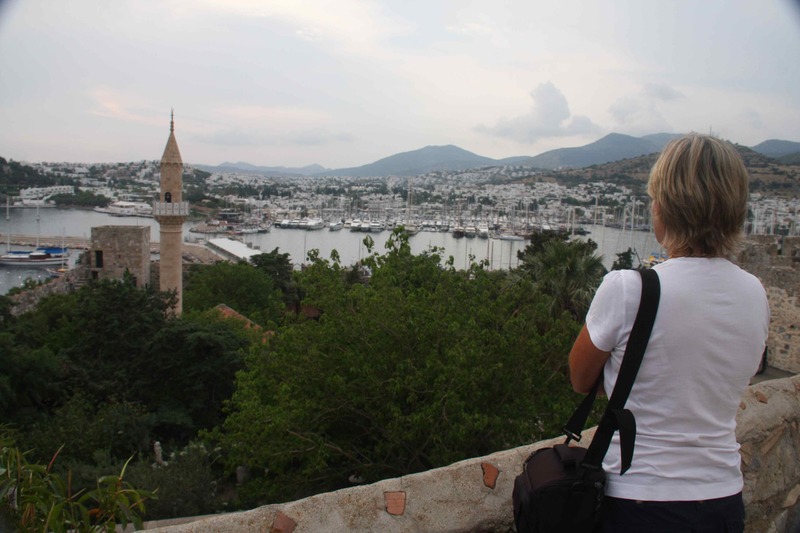 Arrived in the large but very attractive and friendly town of Bodrum. 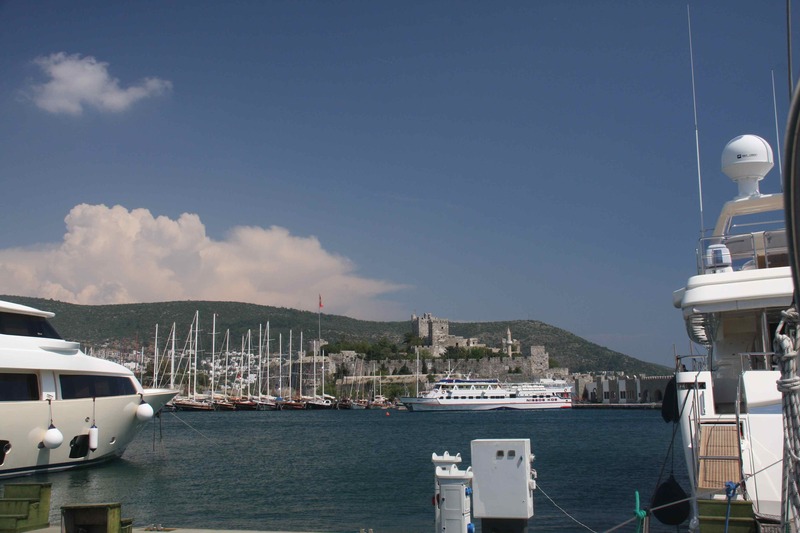 We were lucky to get a spot for Sea Cloud amongst the super-yachts in the very busy Bodrum Milita Marina. 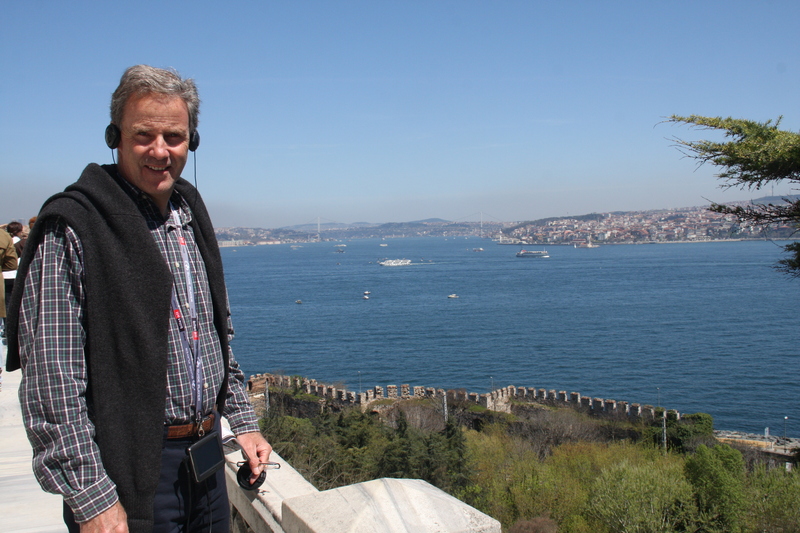 The marina is in a great position, right in town, with great views of the castle. 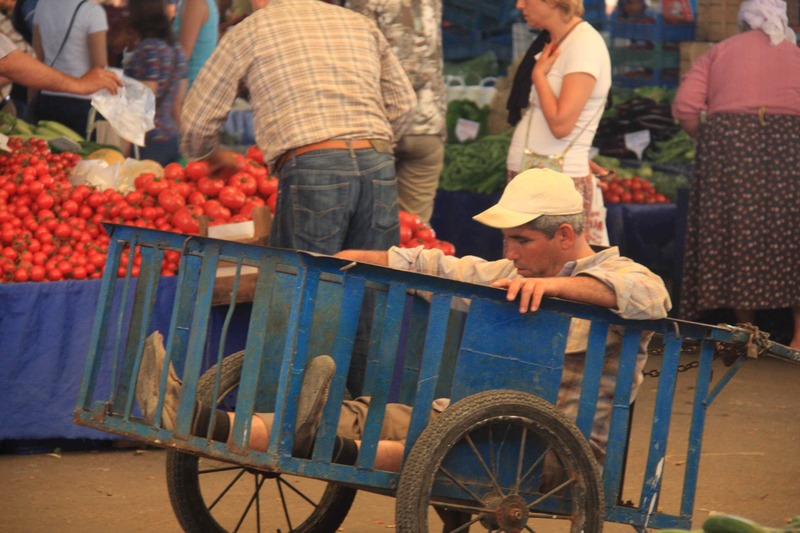 Being Friday, we hurried to get to the fruit and veg (and live animal) market before closing, obviously it had been a very long day for some people! 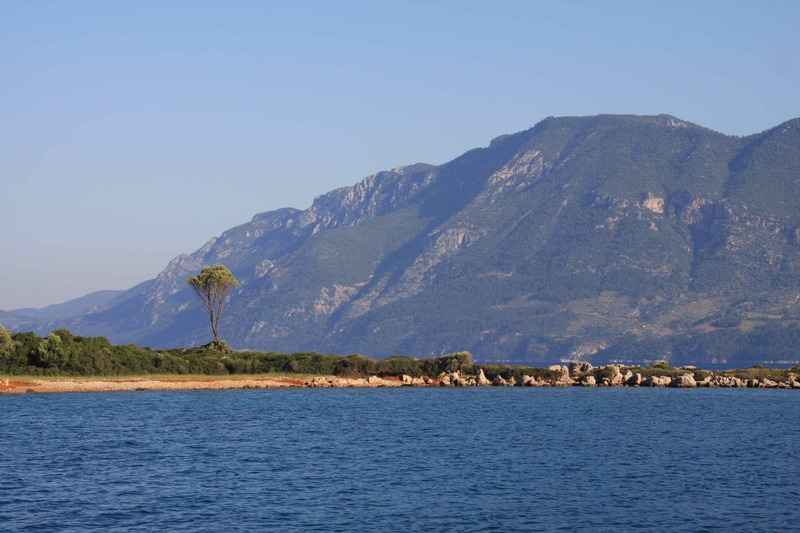 The castle, which now contains the archaeological museum of underwater treasures and artefacts from ship wrecks dating largely to 500 BC but some as far back as 1500BC, was well worth a visit. The re-creation of ancient sailing vessels from retrieved and preserved planks, as well as the display of their contents, was exceptionally well done. The peaceful gardens with their peacocks and views of Bodrum and the harbour below were worth dwelling on. Gulets stacked the bay outside the harbour walls. 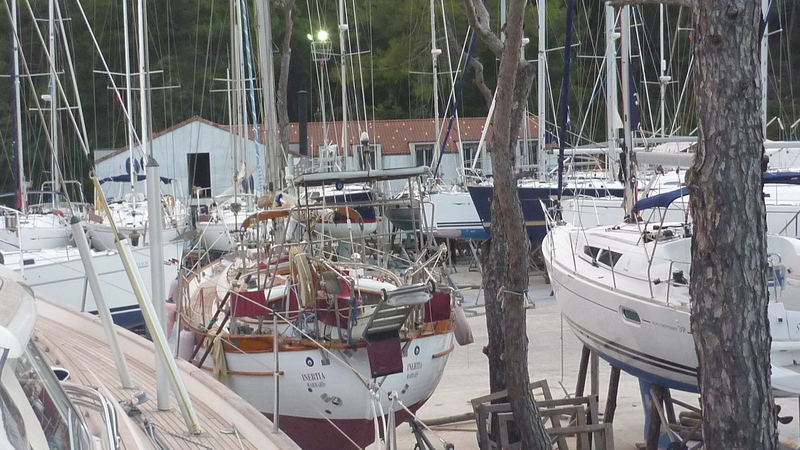 Seeing the number of boats here now, it is difficult to image what it would be like in the season. 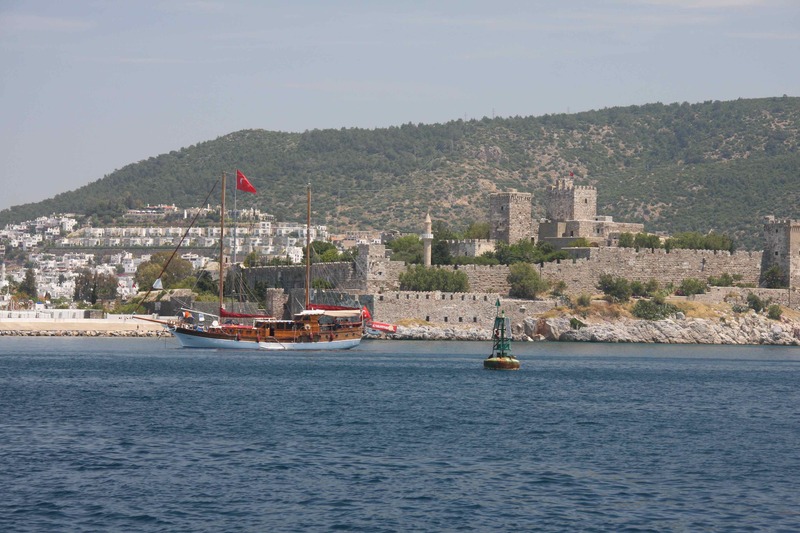 Check out of Bodrum (by the agency at the Marina), and last shopping expedition completed, we set sail for Kos, only 13Nm across the water from Bodrum where we would enter Greece. 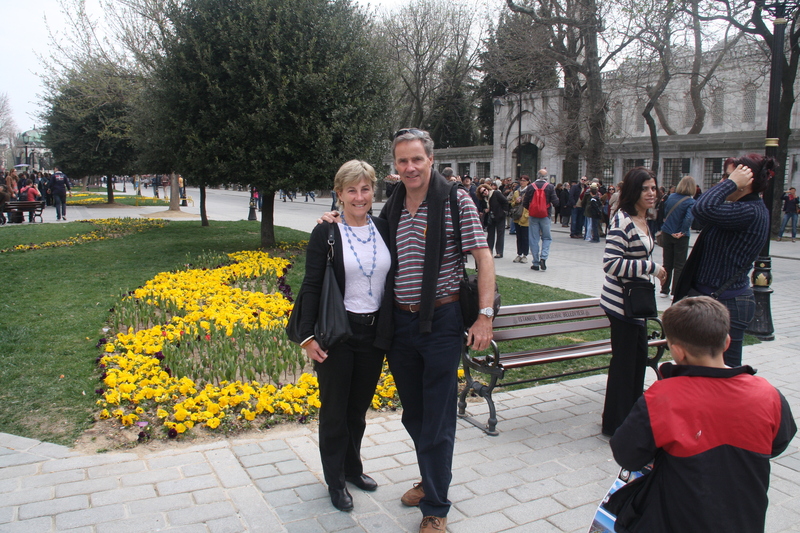 April 6 – 17: The Dersaadet Hotel in Sultanamet, was a perfect base for our week of sightseeing in Istanbul as it was a few minutes walk from the major sites of Aya Sophia, the Blue Mosque and Topkapi Palace – all must sees in Istanbul. 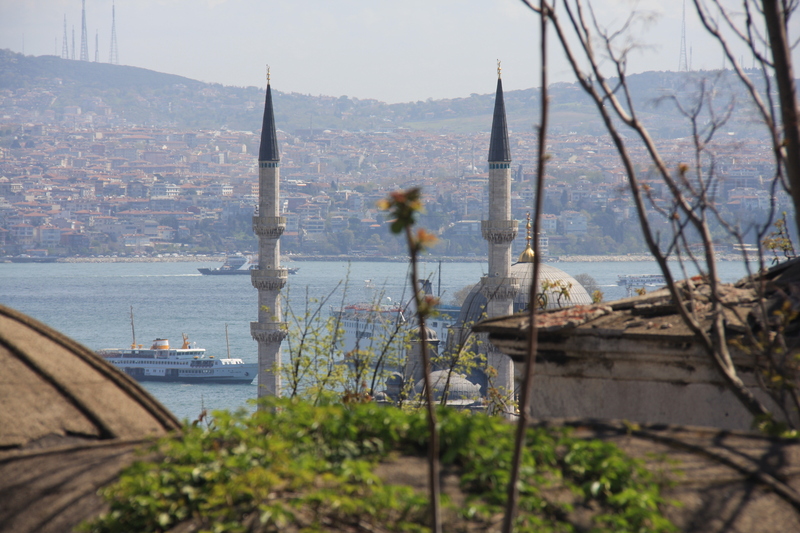 Breakfast in their rooftop restaurant was very pleasant, with views of the Blue Mosque and the wind howling over the Sea of Marmara. The spring flowers were out, tulip festival beginning, and the weather warming up, a lovely time to be wandering the sights. Unfortunately many others also realised this, with busloads of tourist descending on all sights by mid morning. 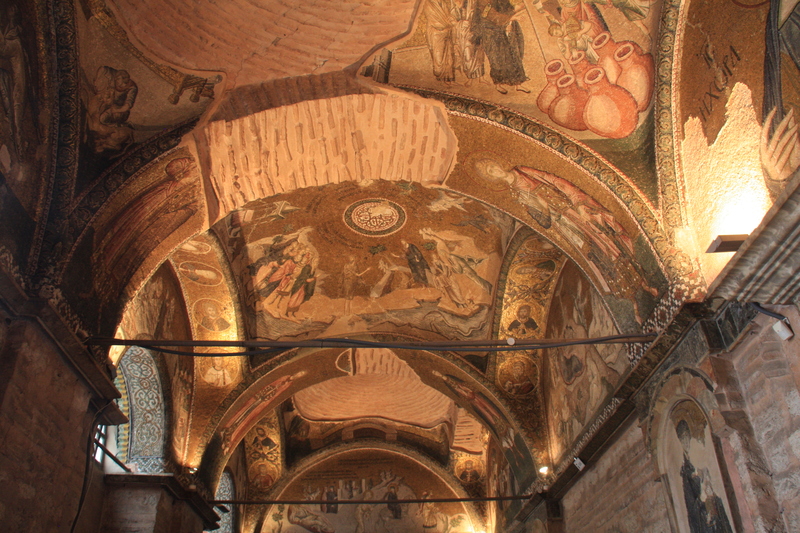 The Istanbul Museum Card (provides access to all museums for 3 days) enabled us to avoid the queues. By evening, the crowds have disappeared. 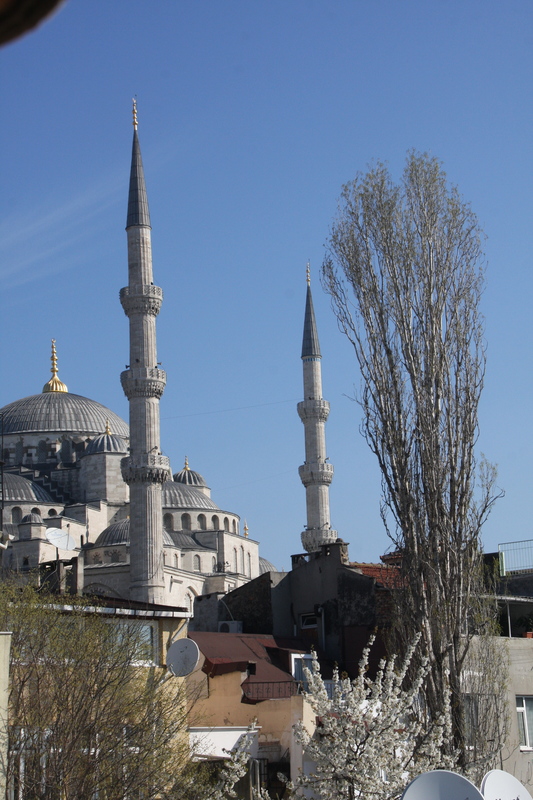 Istanbul is a fascinating and vibrant city, the longer you spend, the more you see beyond the magnificent large mosques (plus the occasional church) busy markets and palaces. 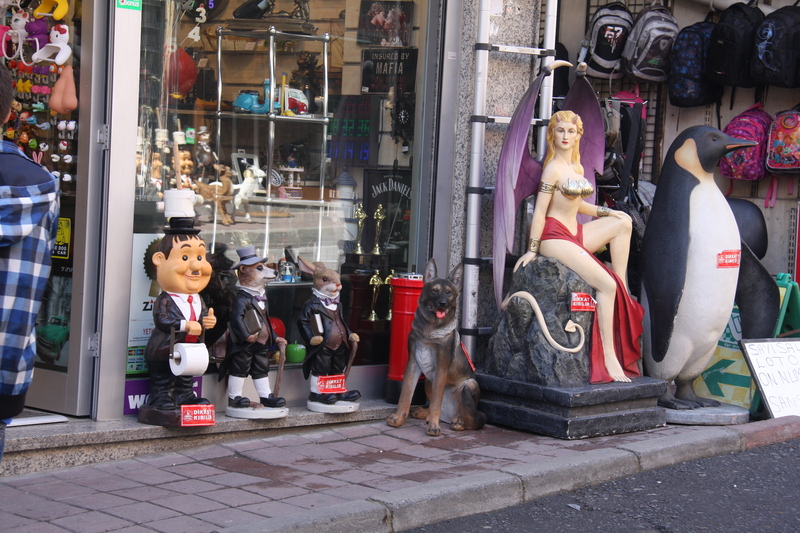 The people are friendly and helpful with a keen sense humour. 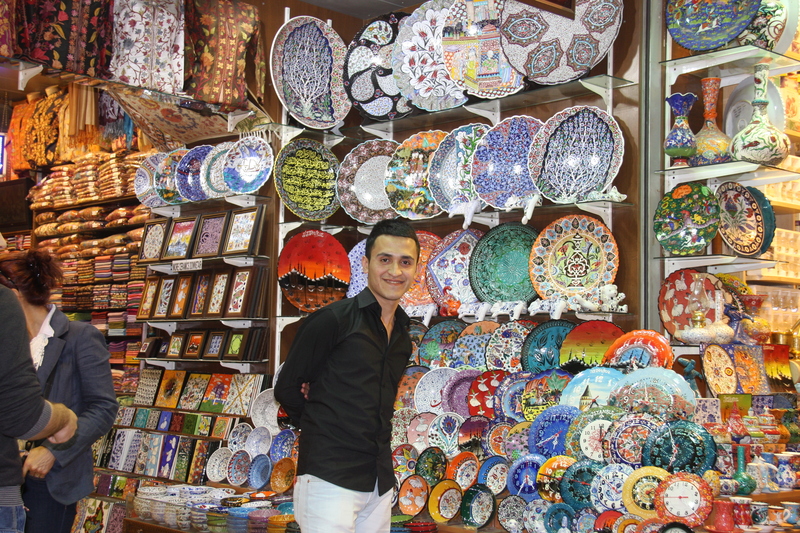 The Grand Bazaar and Spice Bazaar ( below -where all sorts of weird and wonderful things are available) were a lot of fun, with not nearly as much hassle or pressure to buy as bazaars in other countries. 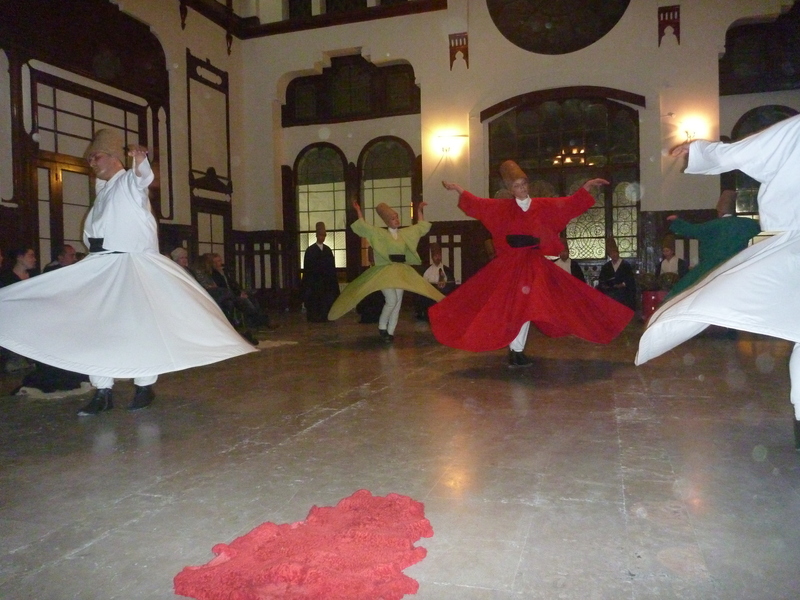 Additional must-see sights include the Archeological museum, and the beautiful Sulimanye Mosque (and nearby Turkish bath at 14th century Sulimanye Hamam). 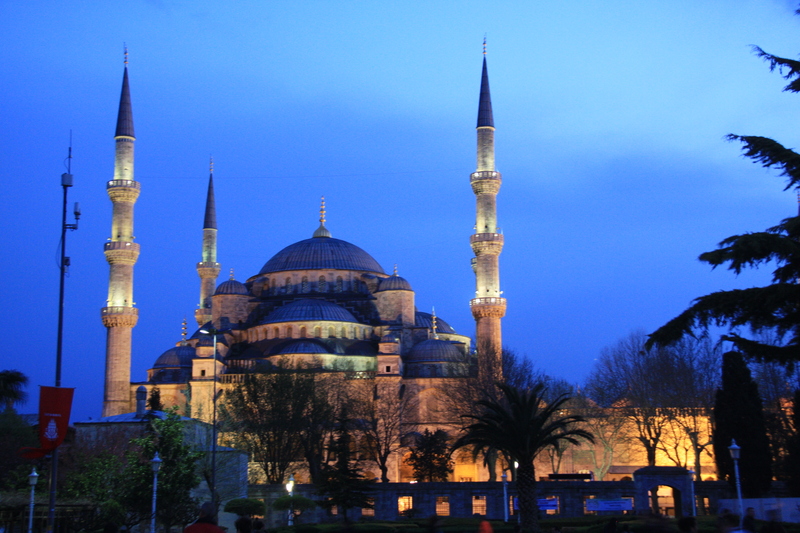 Our pre-booked ‘Hassle Free’ tour to Gallipoli and Troy, left Istanbul early one morning and returned late the next day. 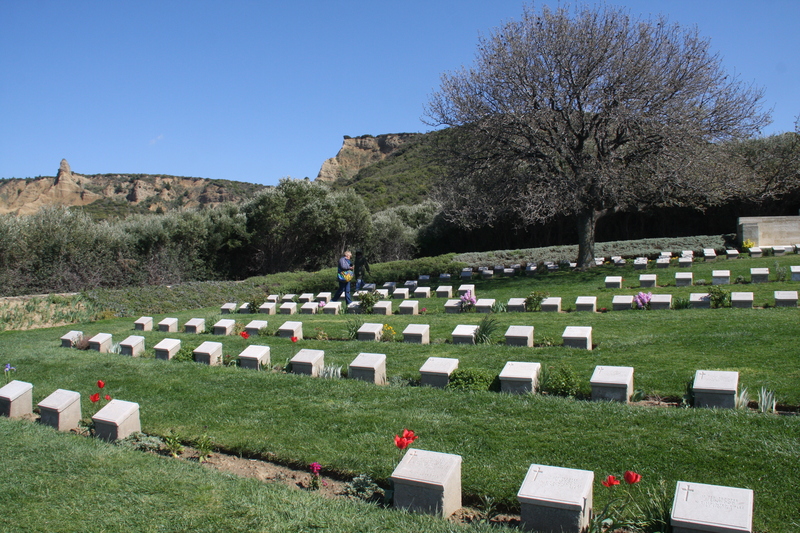 Our knowledgeable & informative Turkish guide was excellent, giving the perspective of both the ANZACS and the Turkish in the Gallipoli campaign. 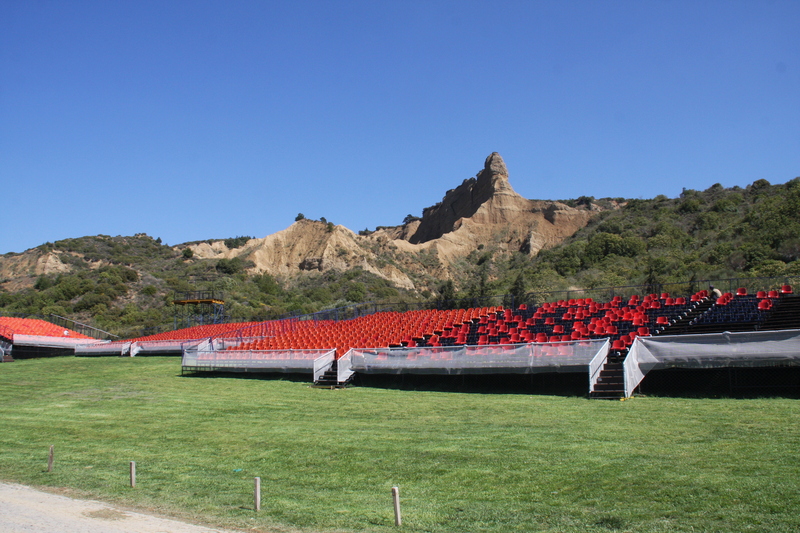 The preparation for the huge crowds expected for the Anzac day memorial services was very evident. 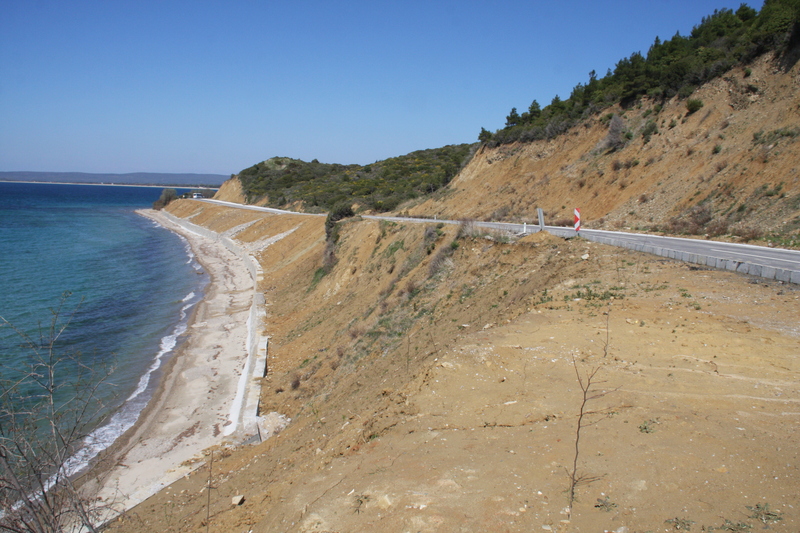 Anzac Cove, The Sphinx, The Nek, Lone Pine with their cemeteries – mandatory sights for Australians, were all very moving places to visit. 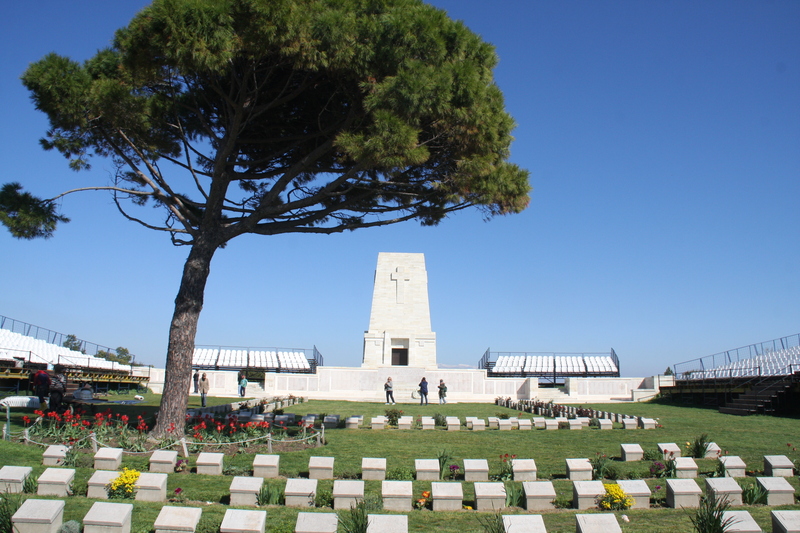 All the more so as Syd Cook fought and was wounded twice here, once at the horrific battle of Lone Pine. 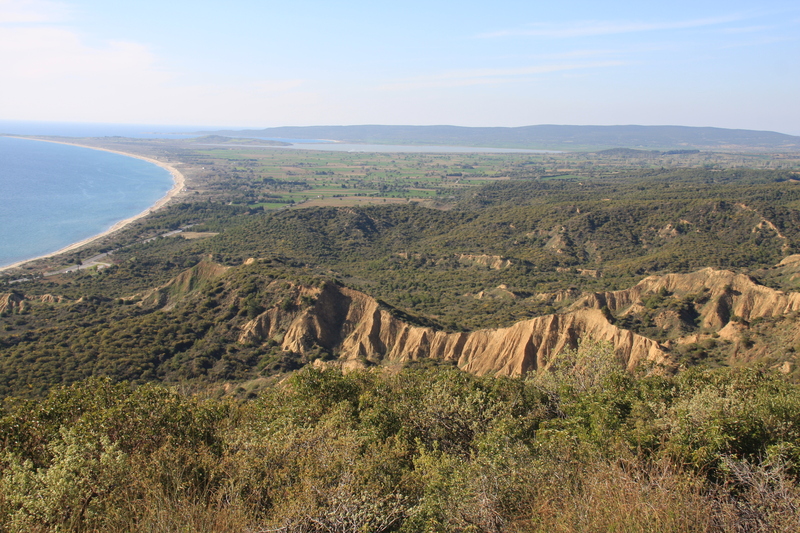 A landmark event for us to put the terrain, the distances from landing site to Chunuk Bair (main objective of campaign) as well as from Suvla Bay, all into perspective. 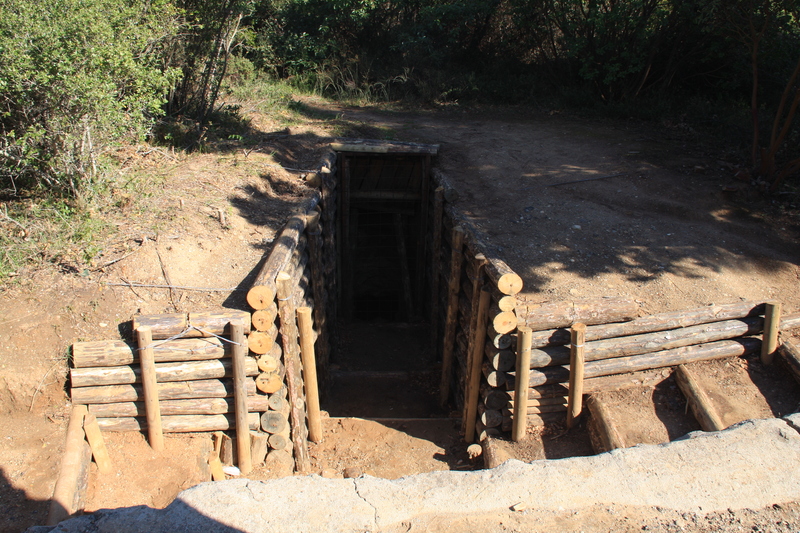 Emphasised the proximity of opposing trenches and how little territory was actually gained in this 8 month campaign – futile and costly for both sides. 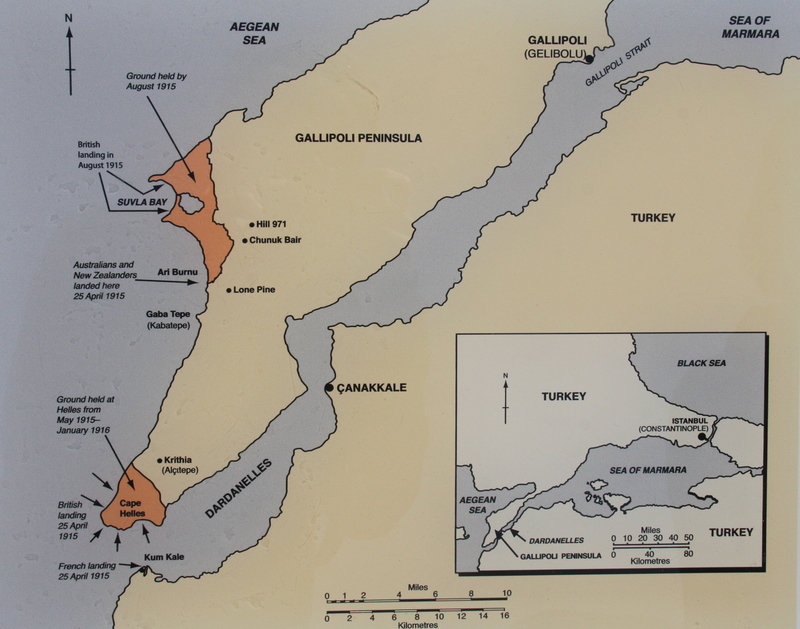 It is clear that this campaign was a turning point towards nationhood for Australia and the soon to be unified Turkey (Mustafa Kemal “Ataturk” pivotal in defence of the Gallipoli peninsula and subsequent ousting of the Greeks, unification of Turkey. It is now apparent why he’s called the Father of Modern Turkey and his portraits and statues adorn every village, town and shop). 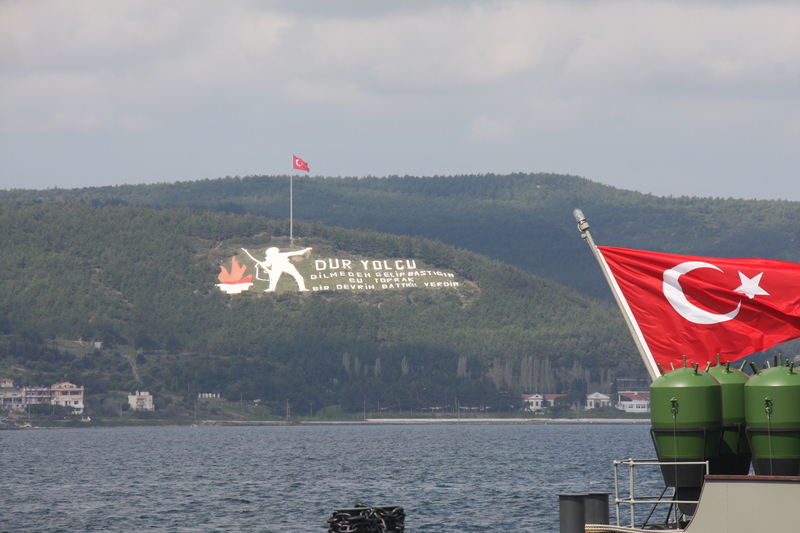 We stayed overnight across the Dardanelles at Canakkale. 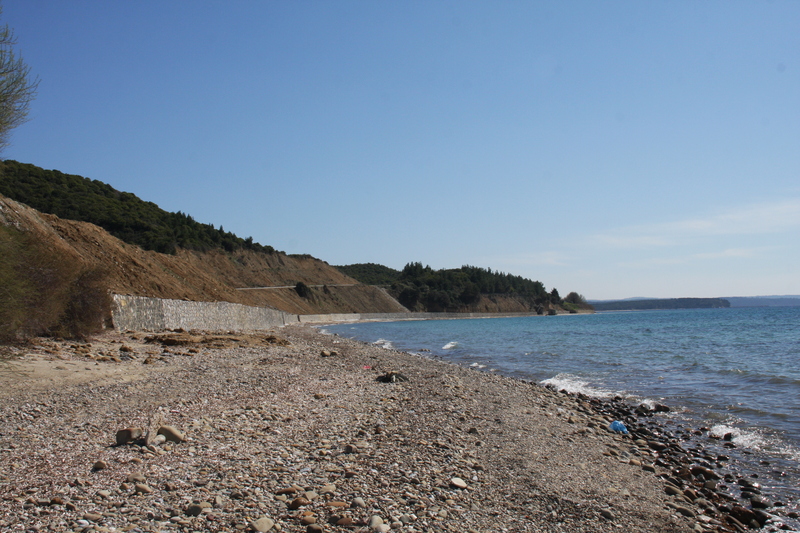 The memorial below is visible across the straits from the town. Traveller halt! The soil you tread once witnessed the end of an era. Listen, in this quiet mound there once beat the heart of a nation. 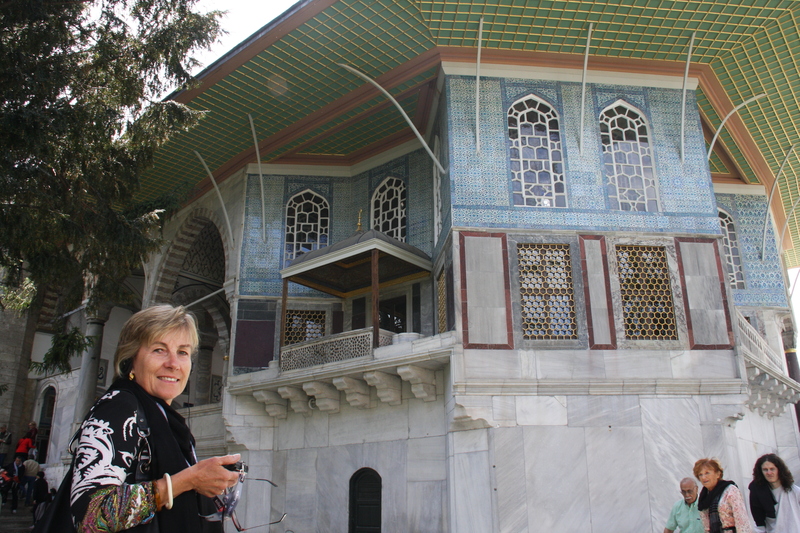 April 17: Flew to Dalaman, and 20min cab ride to Gocek, near Fethiye, where Sea Cloud had spent the winter. As Sea Cloud was on the hard stand in Marinturk Marina, we stayed a few days at the lovely Pruva Hotel, which was in the quiet backstreets of Gocek. We had the most wonderful breakfasts prepared by our delightful hosts Sel and Aylin. 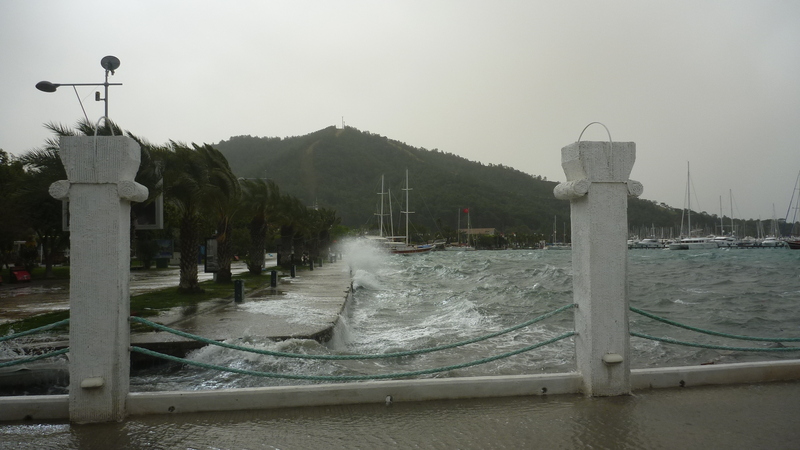 We were so happy that we were in the Hotel and Sea Cloud on the hard stand when the predicted April ‘firtina’ (gale or storm) ripped into south facing Gocek harbour mid week, bringing southerly winds with gusts up to 55+ knots hammering the few boats docked in the town’s marinas. 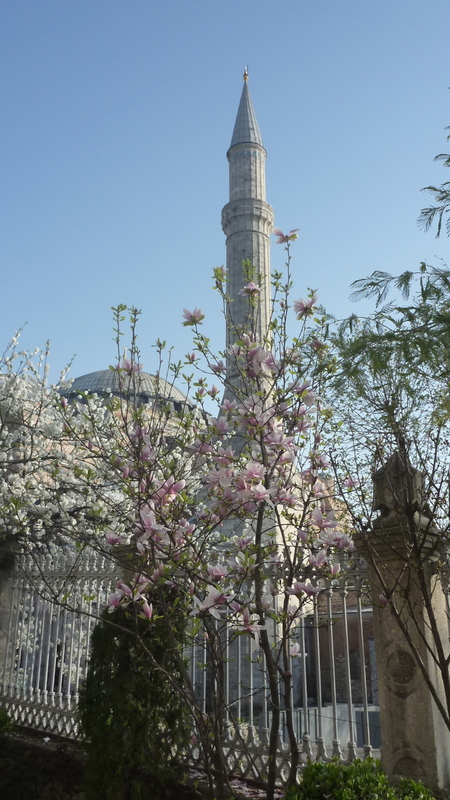 According to Sel (and the Turkish Annual Storm calendar), this firtina comes each year mid April, lasts less than a day and then the weather settles down. 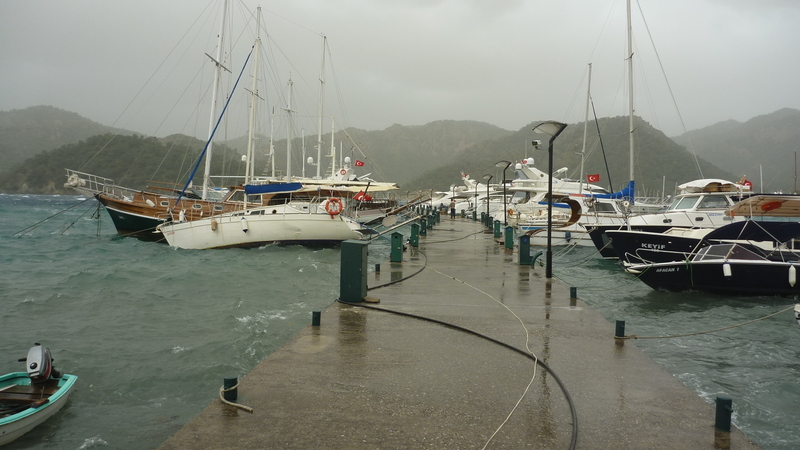 Obviously it was well predicted as the empty Gocek town wall filled up with gulets and other boats within 24hrs of the passing of the gale. All but the inner berths of D-Marin Marina (eastern side) or nearby Club Marina (and perhaps Marinturk Exclsive marina) are untenable berthing options during southerly gales. 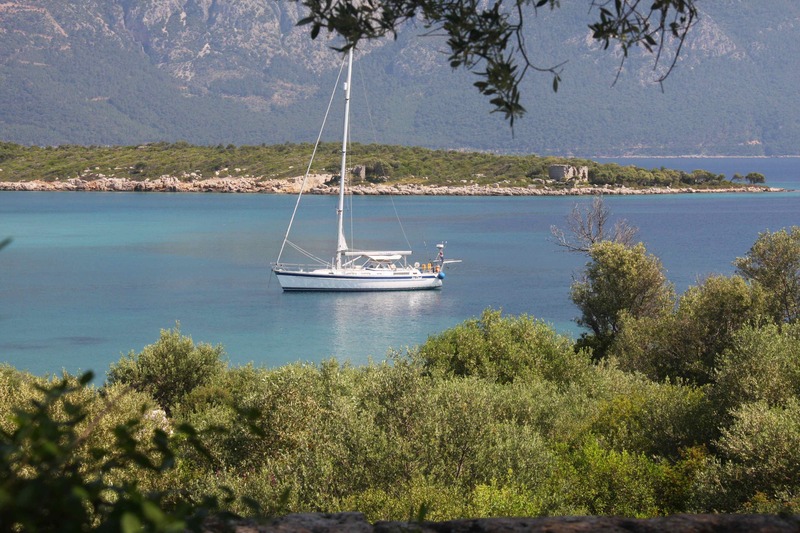 If these options aren’t available, I’d anchor off Club Marine (western shore) or pick up a mooring in one of the sheltered bays around Fethiye Gulf (eg Pilloried Bay). 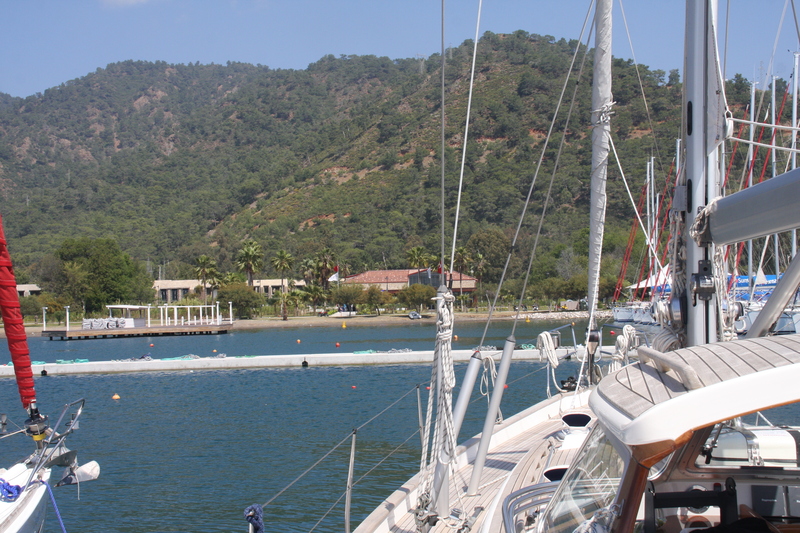 The only marina that appeared protected in Gocek Bay was D Marin, and you would definitely not want to be on their (outer) H arm! 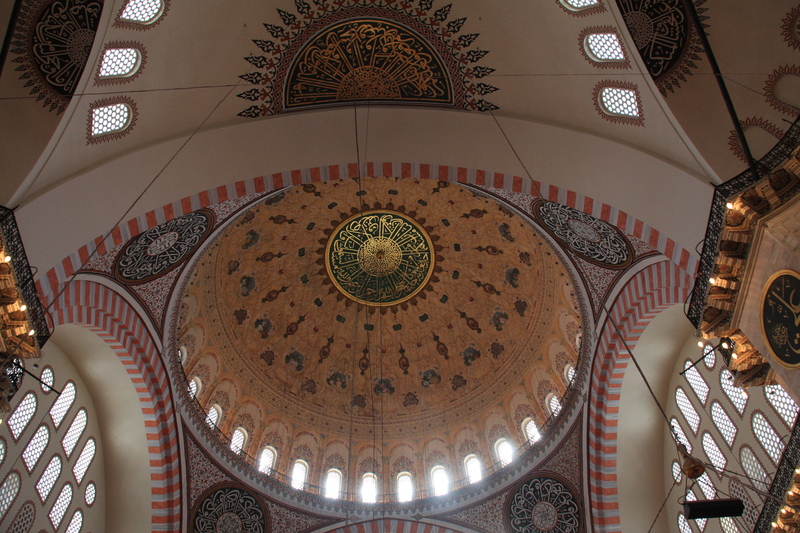 The next few days were spent organising repairs, polishing and cleaning during the day and enjoying the peace and quiet in Gocek, where we were one of the few tourists. The restaurants here are great, with simple, inexpensive healthy food, much more appealing to us than the rather oily heavy meals we had in Istanbul. 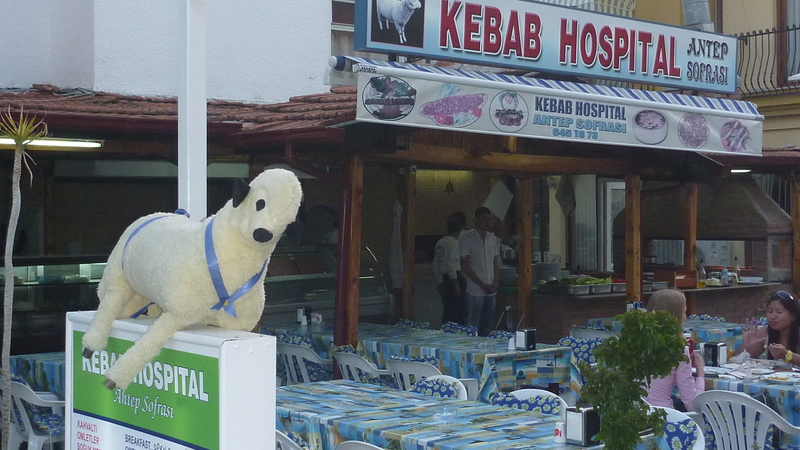 The Kebab Hospital(!) became one of our favourite haunts. 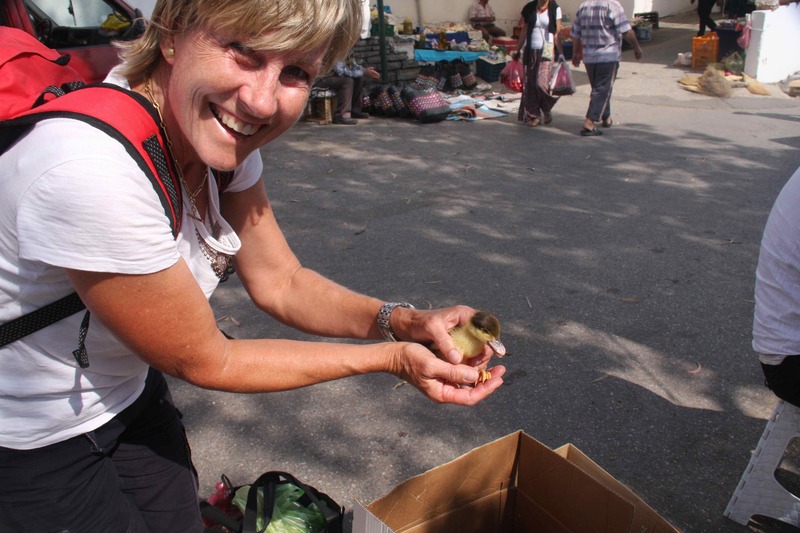 The Gocek market each Sunday was also a favourite, with wonderful fresh local fruit and veg and the most delicious gozleme! April 20: Once launched, Sea Cloud was in a great berth at Marinturk – we had wonderful views as no one in front or behind us. 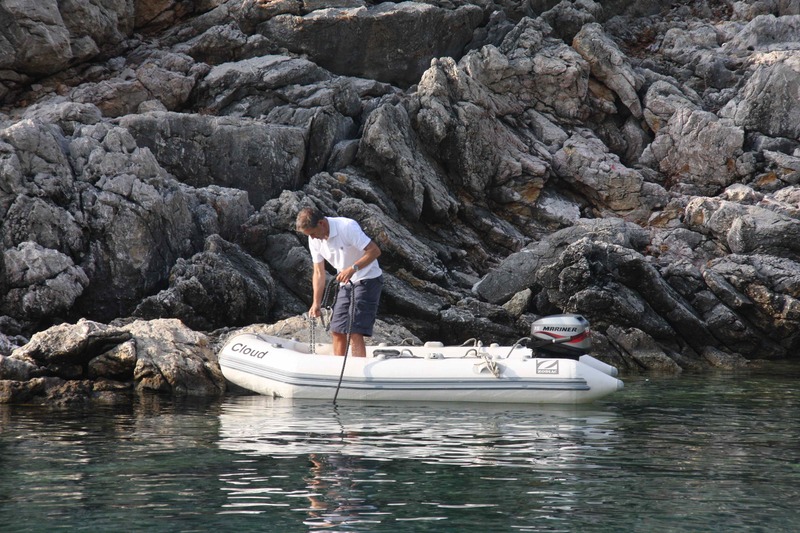 Unfortunately we found our 2 year old batteries were dead (after yacht services monthly charging, checking and report that they are fine!). 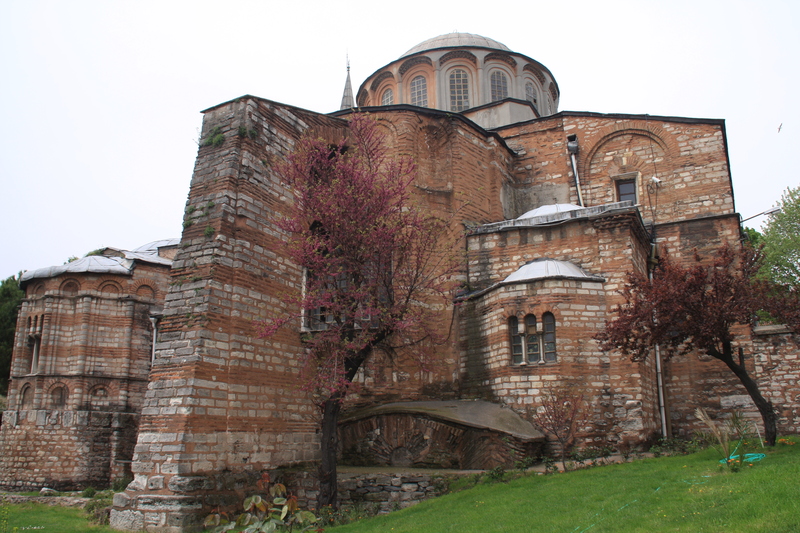 Spent a few days waiting for new 8 x 6v Trojan gel batteries from Istanbul at great expense. Lets hope these ones last longer than the last lot! 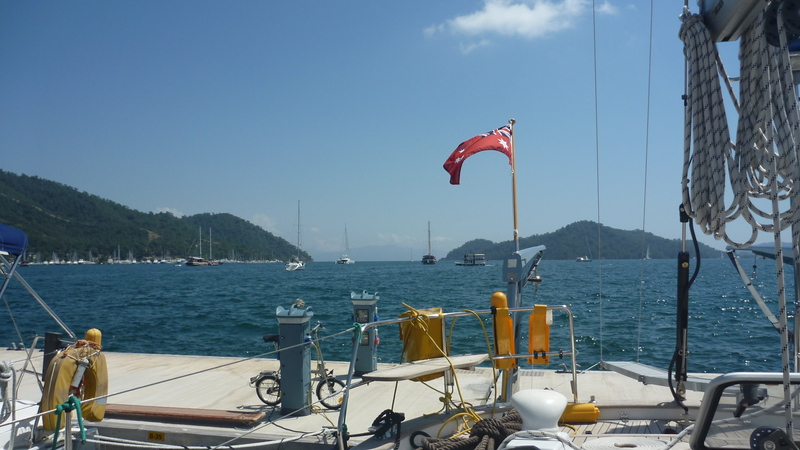 The inevitable repairs and spring maintenance works were completed in 2 weeks and we were ready to leave Gocek on Ian’s birthday 1st May. 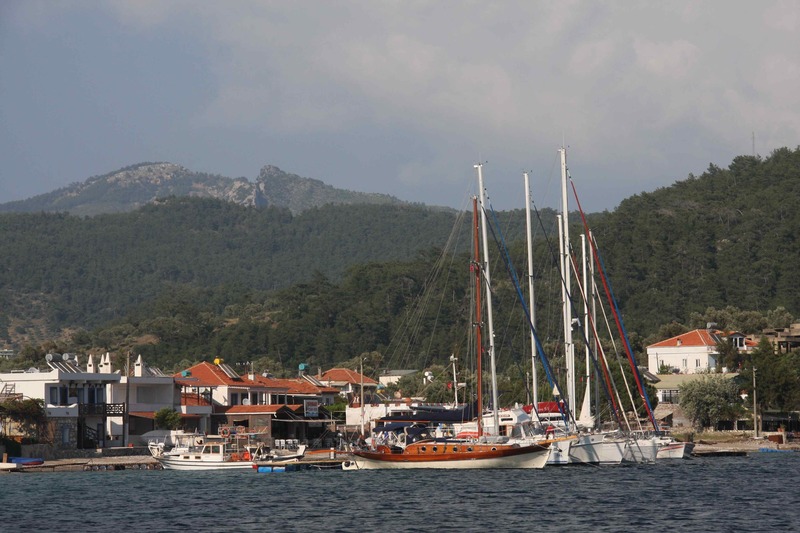 Just in time as the crowds have begun to descend on Gocek! 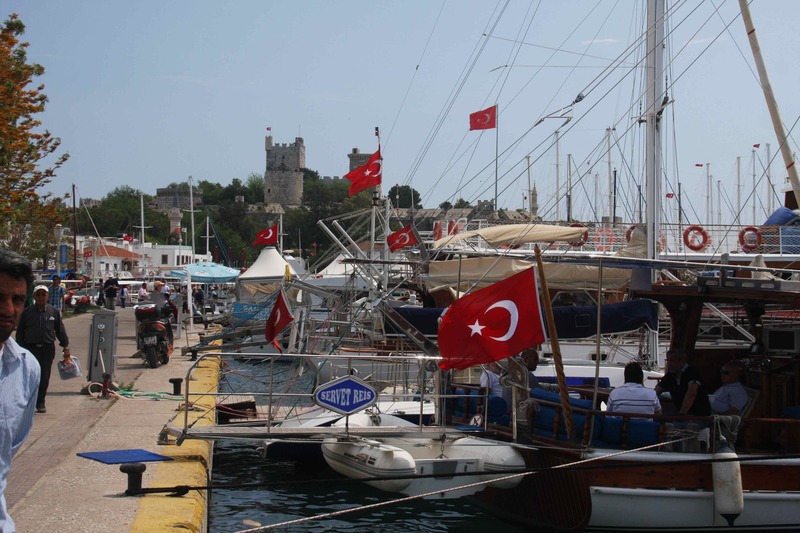 Apropos the new 90day stay on Turkish Visas, we paid a visit to Port Police and Customs in Fethiye to explore feasibility of a visa extension. Bottom line – we have to stick to our original plans of spending no more than 90 days in Turkey. It seems that the new 90 out of any 180 day visa (similar to the Schengen Agreement) cannot be extended (as the Aussie Turkish consulate had indicated). The only way around it is to apply for a Residency permit (approx AUD700) in conjunction with a lengthy (costly) marina contract that we wouldn’t even use. 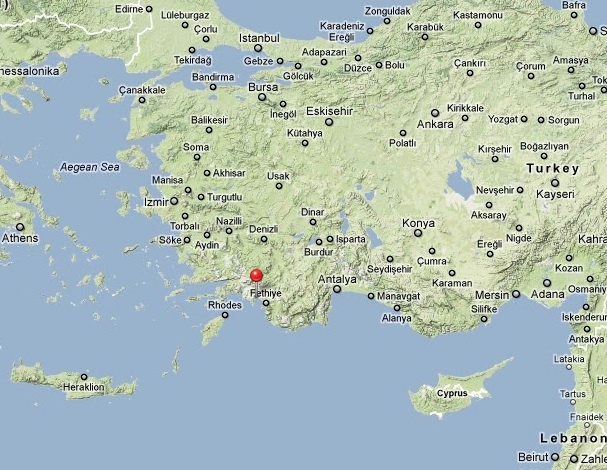 So, after 90 days, Greece rather than Turkey will benefit from our dollars!